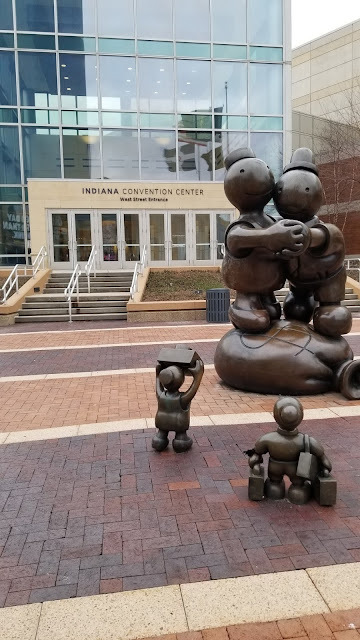 *Disclosure: I received the use of a vehicle for a week in exchange for this post. The opinions expressed here, however, are my own. You guys ... don't tell the other cars I've reviewed, but this might just be my favorite of them all (with this one, also by Toyota, coming in a close second—let's just call it a tie). I was heading to Indianapolis last weekend for the Indiana Comic Con, and I wanted a hybrid car that would get great gas mileage. 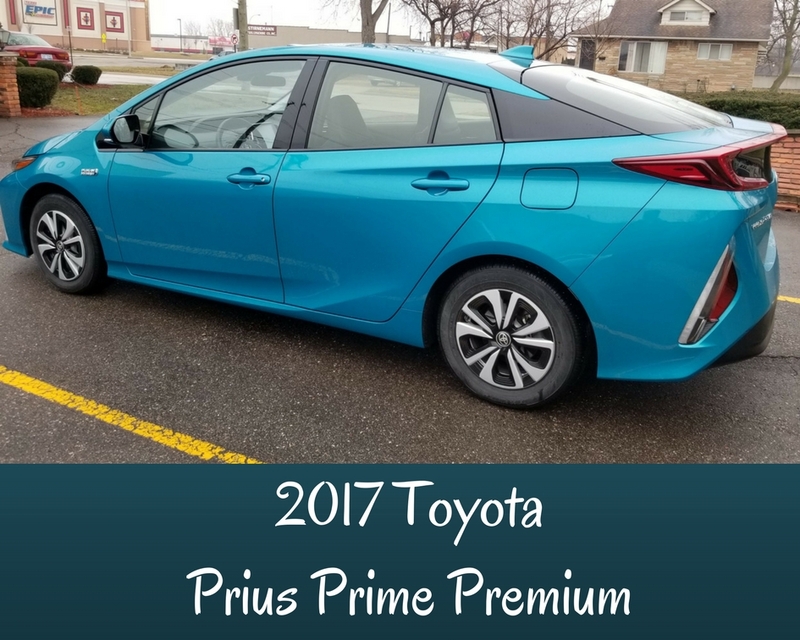 Enter: the 2017 Toyota Prius Prime Premium. This car had the most tech I've ever used before in a vehicle, and not only that, it was extremely comfortable, too. 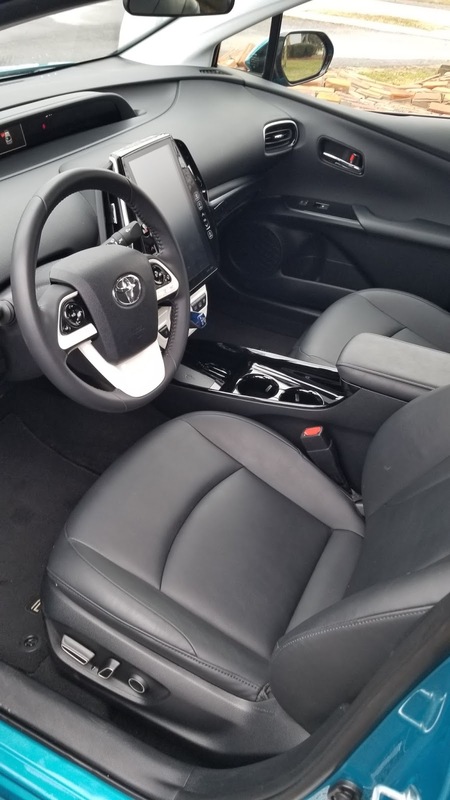 The driver's seat and front passenger area is very roomy, as is the backseat. 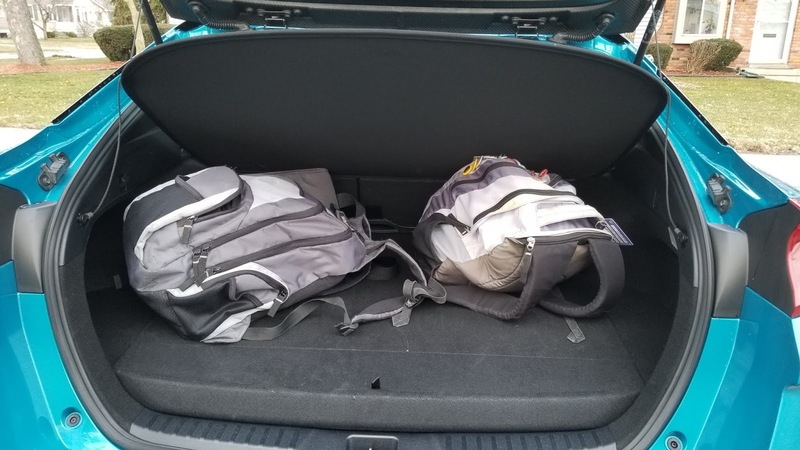 It IS a hatchback, so you have limited trunk space, but the back seats fold down if you need more space. 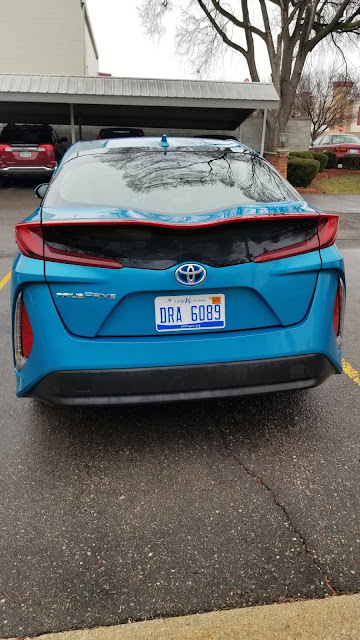 From the Detroit area to Indianapolis is about a 5-hour drive, so I was very glad that we had the Prius Prime Premium. 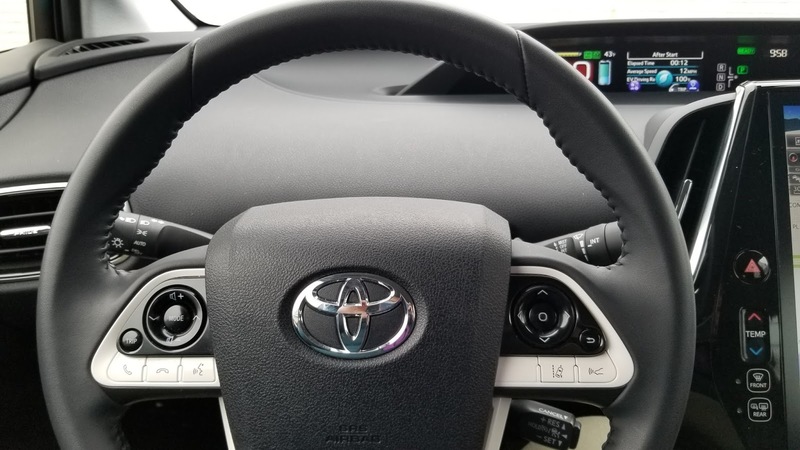 We quickly found out that it has adaptive cruise control, which is fantastic—you pretty much just have to steer the car and it speeds up and decelerates for you—and that was much appreciated on our trip. I will say that we ran into a snow squall somewhere in the middle of Indiana, on the way home (thanks, April weather ...) and the sensors got covered, so the next time we pulled over we wiped them off; turns out that the cruise control sensors are over the Toyota symbol, in the front. There IS a way to use manual cruise control too, though (thank you, Google), which is what we did for a while before stopping. The car is also very stylish—this color is called, appropriately, Blue Magnetism. Other features I liked about it was that the car unlocked when you were nearby it (assuming you had the key fob in your pocket) and that it also had wireless charging for your phone, if you have an Android or the latest iPhone. The best part of this car, though, and what made me fall in love with it, is the touchscreen. 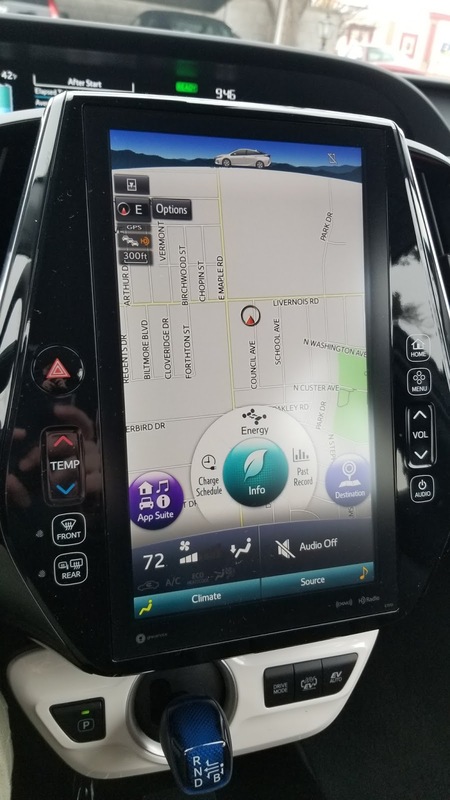 The touchscreen is FABULOUS and 99% of the car is controlled by it, including the audio (radio, bluetooth, or Sirius XM satellite radio), climate control, navigation, and other apps. 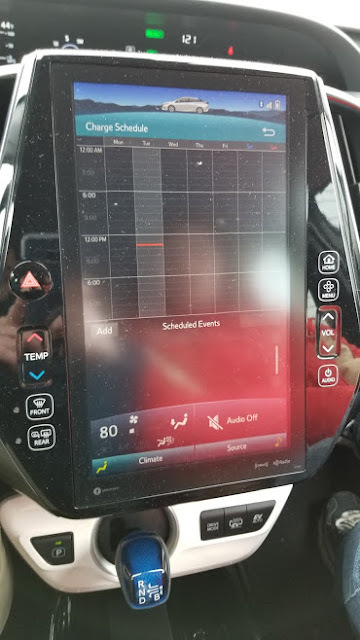 This touchscreen is by far the coolest thing I've ever seen in a car—and it means you're getting a great value for the price, because the Prius Prime Premium retails for $29,685 with fees. 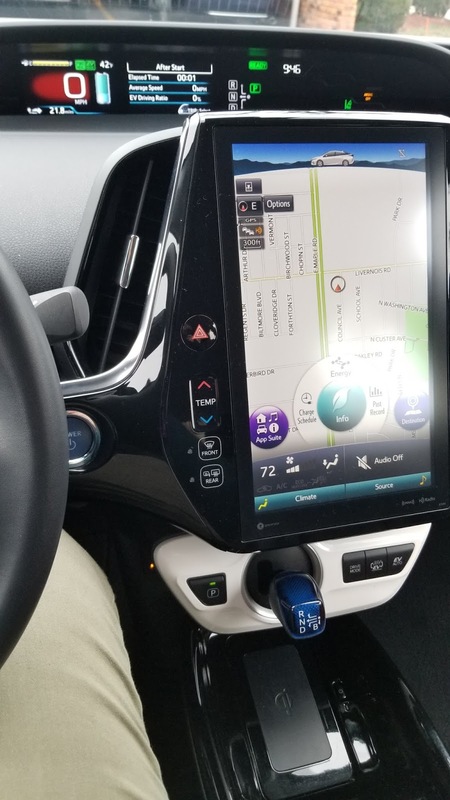 The touchscreen is about 13 inches (to compare: a Tesla touchscreen, which is far pricier, is 17 inches) and has everything you need on it. You can even set a schedule for the car to charge, if you're charging it at home, which a coworker and I found out when we were playing with the touchscreen one day (the car is a plug-in hybrid, and operates on both electricity and gas). When I originally received the car, it was fully charged, and I operated it just on electricity for its first day; it gets about 22-25 miles just on electricity, I believe, and then will convert over to gas. I can't say enough good things about the touchscreen. It took me a while to get used to the climate control being on there, but once I did, it was great. There are a few things not on the touchscreen, like the front and rear defrosters—there is also seat warmer buttons located to the left and right of the console, almost underneath, for both the driver's and passenger's seats—but otherwise, everything is done from the touchscreen. 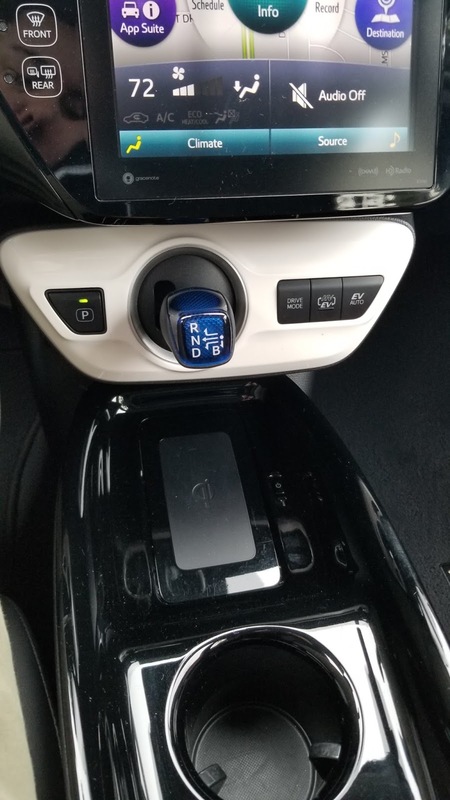 You may have noticed the joystick-like thing underneath the touchscreen and that is actually the gear shift. That took some getting used to at first, as well, but eventually I became a pro at it, or so I'd like to think. One of the only negative things I can say about this car is that when you put it in reverse, a "beep ... beep ... beep" noise comes on (highly technically, I know, ha) and that was quite jarring the first time I put the car in reverse. Basically the car just wants you to know that it's in reverse. I later Googled this, however, and found that you can have your Toyota dealer turn off the noise, though, if wanted. 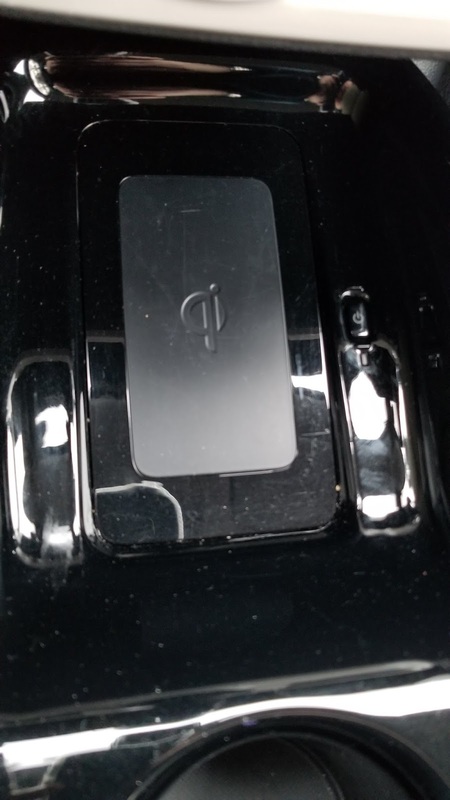 I made a few calls using the Bluetooth while driving the car (I always test for call quality) and it was quite good—my mom said that she could hear me well, and I could hear her without any problems, too. 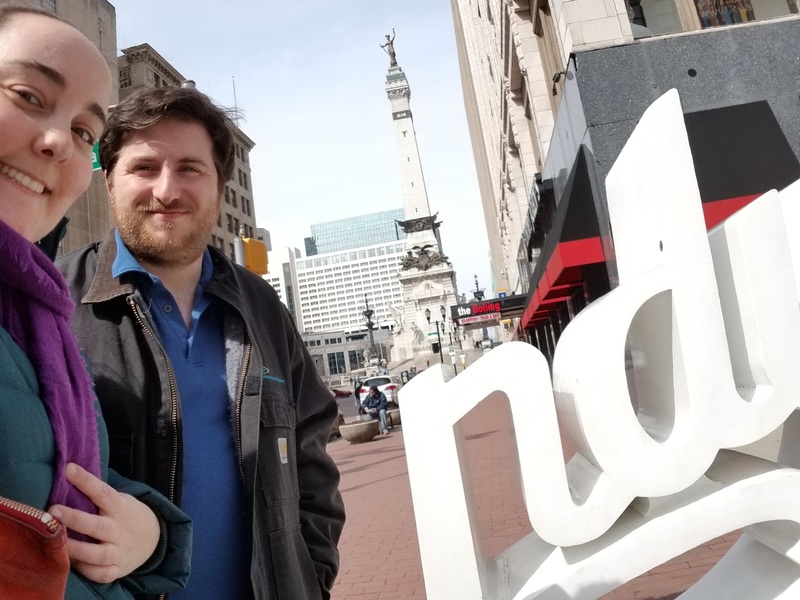 The 5-hour trip to Indianapolis seemed short in this car, especially with all of the entertainment options—Sirius XM radio was nice to have once we got out of the Detroit area, and I also used the Bluetooth function to play songs from my Google Music app. The comic con was a lot of fun, as well, and it was much easier driving the 2017 Prius Prime Premium there than it would have been driving my car (no adaptive cruise control) or my boyfriend's. 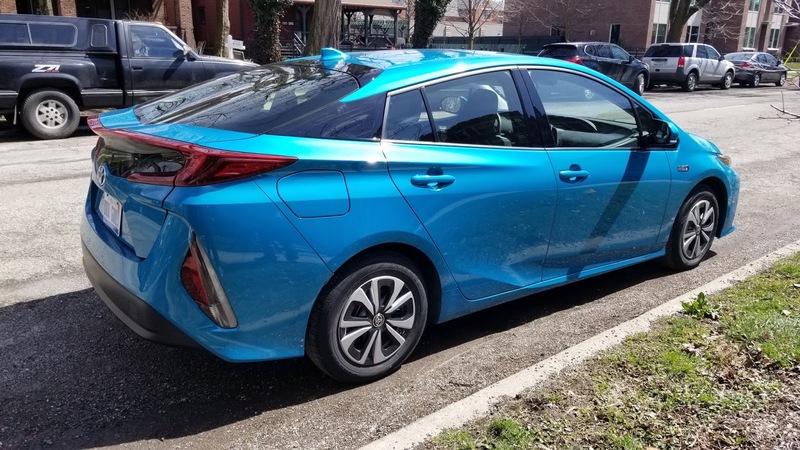 I may have to get a hybrid now for my next car purchase, since I liked this one so much—I forgot to mention that it gets 54 miles per gallon on gasoline only, and up to 133 miles per gallon (!!!) on a gasoline/electric combination. I didn't get to recharge the car throughout the week, but since I live in a condo and can't charge at home, there are places nearby you can go to charge it; the Somerset Collection (nearby mall) has four parking spaces with charging stations, actually, and you can search online for charging outlets nearby your home. Overall I really enjoyed this car—not only was it gas-efficient, but it was also sporty and fun to drive. Have you ever driven or owned a hybrid car? If not, would you consider owning one in the future?